In Iceland you are driving on the right side of the road, the speed limitation is 30-50 km/h in residential area, 80 km/h in gravel roads and 90 km/h in paved roads. Speaking of gravel roads, a lot of accidents happen when paved roads change into gravel roads, as drivers tend not to reduce the speed and as a consequence lose control over the car. 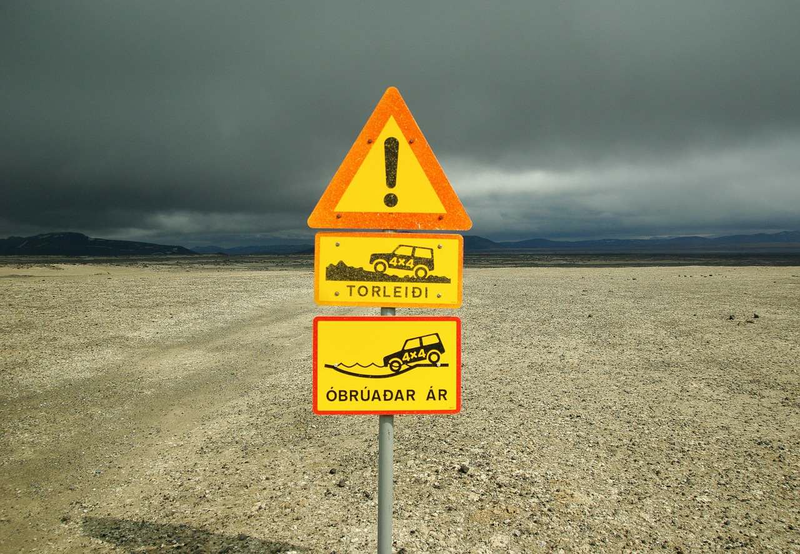 It is important to remember, that if you hire a car in Iceland, you need to be really careful on gravel roads and when there is a car driving in the opposite direction, try to move a bit in a right, so there is less chance for a collision. Another common road situation is a single lane bridge, many foreigners don’t get used to drive on such bridges, but don’t worry it is not as scary as it sounds. Typically, the one car that is closer to the bridge, is the one that should go ahead. So make sure, that you decide who is going first, before you both enter the bridge. Check our cars here. Iceland is famous for its wild nature, so it’s not surprising that an animal can accidentally ended up on a road. That’s why you need to be careful while driving, usually, you can witness sheep on the road, but it can be horses or cows as well. There are more rules, if you decide to get a rental car in Iceland in winter, you can read about driving in winter here. Apart from unique driving conditions, it is important to learn the main driving rules, before you hire a car in Iceland. First of all, drivers and passengers must wear seat belts by law, depending on age a child must either wear a seatbelt or be in a safety seat. Also it is important to remember, that you can’t drive a car after consuming alcohol and breaking this rule may have serious consequences. Another important rule is that you should have your headlights on all the time, no matter if it is a day or night time. Car Rental Iceland with Reykjavík Auto. Icelandic Transport Authority made a video “Dangers on Icelandic roads? - Driving with Elfis” , that can help you to prepare to your trip to Iceland. We wish you a pleasant journey!